Have you ever wondered who keeps getting on your computer and changing the Google logo every day? Have you ever printed out an email to read or share it? Do you think “tracking cookies” has something to do with figuring out who ate all the Oreos? Have you ever wondered whether or not “they” deliver emails on Sundays? If so, you might be are a technology caveman. Ok, so I was having a little fun with you there. Maybe you haven’t actually done those exact things. But if you’re using old out-of-date technology in your contracting business, you need to know you’re missing a huge opportunity to make your business more profitable. Don’t worry too much, though. In this industry, you aren’t alone. A lot of our brethren in the contracting business are in the same boat. For many years in this industry, we did things the manual way. Pencils and pens, post-it notes… and if we were feeling particularly fancy… pagers. And we did just fine doing things that way, didn’t we? But here’s the thing: Those days are gone. Today, if you hope to succeed and thrive in this business, you’re going to need to learn to embrace the latest technology to keep up with (and pull ahead of) your competitors. You can bet your bottom dollar that if you’re unwilling to embrace technology to grow your business, your competitors will. Today, we use sophisticated software to run call centers, manage our customer relations, dispatch our techs, run our billing, track our finances, and communicate with the field. The pagers have gone the way of the Dodo bird, being replaced with modern, more efficient apps. 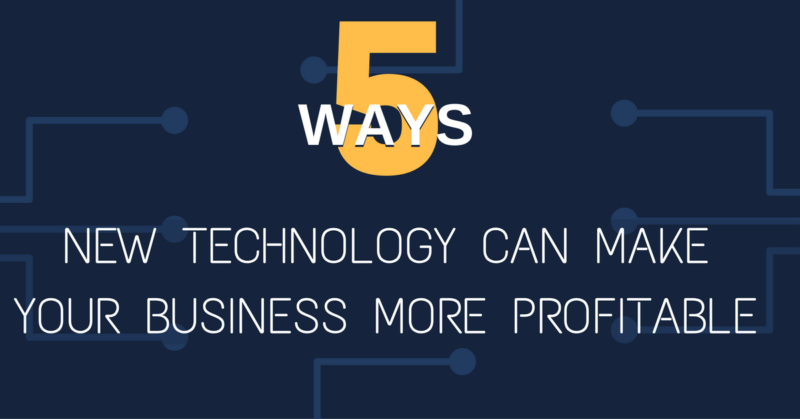 There are dozens of ways that new technology can benefit your business, make your job easier, and beef up your bottom line. I’ve found that most of these benefits fall under 5 major categories. When you embrace the latest technology, your entire team becomes more efficient. They’re able to communicate more easily and pass on information faster and more accurately. When you properly implement the right technology in your company, it translates to more time in front of your customer instead of time spent tripping through clunky, unorganized paper notes and files. And more customer face time means more revenue for your business. With the new technology available to you today, you’re able to enhance your customer’s experience as well. Being able to use a smartphone or tablet app in your client’s home to show estimates builds credibility and confidence. Using a professional tool helps them feel more secure in dealing with your techs and your company. Your customer will be able to more easily (and legibly) see and understand exactly what services their technicians are performing and better understand the price estimates they’re presented with. Using the newest technology in the field assures that you’re using equal pricing for everyone. When everyone in the field is using the same technology, it standardizes important parts of your operations – like pricing. And when you reduce the possibility of pricing inconsistencies, you also reduce your exposure to liability. In addition to being able to track employees in the field, today’s technology that has video and audio capabilities allows managers to see, hear, and even intervene if needed in real-time. Technology gives the manager many more (and better) opportunities to provide tips on improvement, to reinforce what’s going well in the field, and ensure that the job is done correctly. I know technology can seem intimidating. I understand that change is difficult for a lot of people. But if you love your business and have big dreams of building it into a profitable dynasty, you HAVE TO change and accept that the newest technology is no longer an option. It’s interesting that such an old quote could be so spot-on in 2016, isn’t it? But it’s true. You need to embrace the latest technology… because old technology is nearly as clunky as pens and post-it notes! So how do you get started? What’s the best way to start integrating the latest technology into your contracting business so you can enjoy all these excellent organizational and financial benefits? It just so happens that the cutting-edge tech wizards right here at Contractor Selling have been hard at work creating the ultimate in contractor tech! We’ve developed an app like no other this industry has ever seen. One that will help contractors like you provide the very best service, run your business more efficiently, and best of all – grow your bottom line. 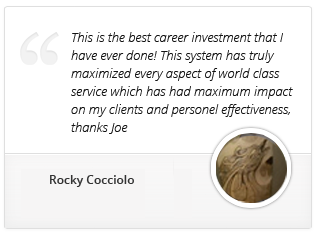 We call this incredible tool Jobi, and you’ll be amazed how easily it helps you generate more revenue from the same number of calls. It makes everything easier from your call center to dispatch, from creating service options to generating invoices and much more. Jobi is going to be a real life game-changer in this industry, and we’d like to invite you to be among the first to get a sneak peek. Just visit Jobi.Pro to get all the details and schedule a demo. Very soon, we’ll be recruiting a small group of enthusiastic beta testers to try Jobi out and help us put the final polish on this powerful tool. You’re going to love Jobi. Go check it out now! 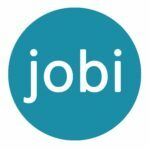 I have been using Jobi.pro and BEFRG for some time. I would like to know how to upload my existing customers into Jobi. Can someone call me today or tomorrow?